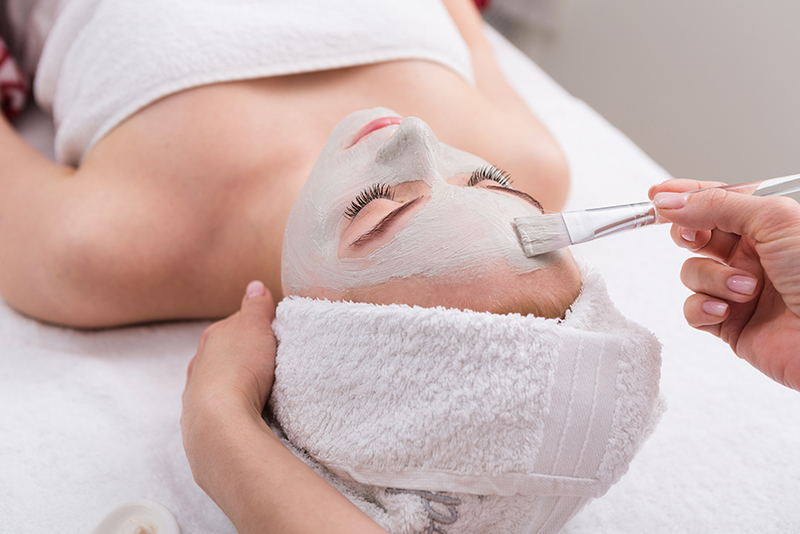 Ancient beauty enhancing rituals are experiencing a renaissance globally, as people look towards ‘natural’ rather than ‘chemical’ solutions to the symptoms of aging. Ayurveda is well placed to cater to such needs, as it is home to a rich selection of hair, skin and body treatments., all of which work both internally and externally to create a glowing complexion, soft skin, and lustrous locks. 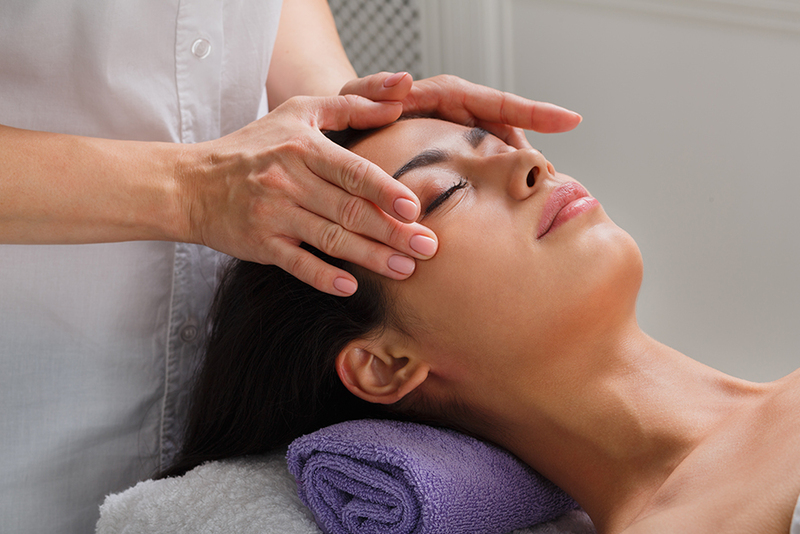 Ayurveda takes an integrated approach to skin care and beauty. Skin health or disorders are only part of the larger bodily wisdom. Skin responds and reacts in accordance with the choice of food, digestion and metabolism. The body’s disposition to accumulate or expel waste reflects on the health of the skin since the skin also acts as an excretory organ that eliminates waste in the form of sweat. How best one can assess the dosha imbalances goes a long way in restoring the health and natural beauty of the mind-body continuum. Indian women have been harnessing herbs and plants for skin care for centuries. Numerous Sanskrit texts outline facial and other beauty treatments and evidence of natural cosmetics dates back to at least 3,000 BC. Instructions for extracts of flowers, leaves, barks and herbs for both medicinal and cosmetic purposes are plentiful in the vedas. More recently, as people have become aware of the potential pitfalls of chemical and synthetic skin, hair and beauty products, Indian herbal recipes have become increasingly popular in global markets. According to Ayurvedic texts, the secret to lasting beauty is ojas or the subtle quality of vigor or vitality that is the superfine essence of seven dhatus or tissues of the body. If the ojas is strong and healthy, one has a radiant inner self; this, in turn, manifests itself in one’s outer physical appearance. 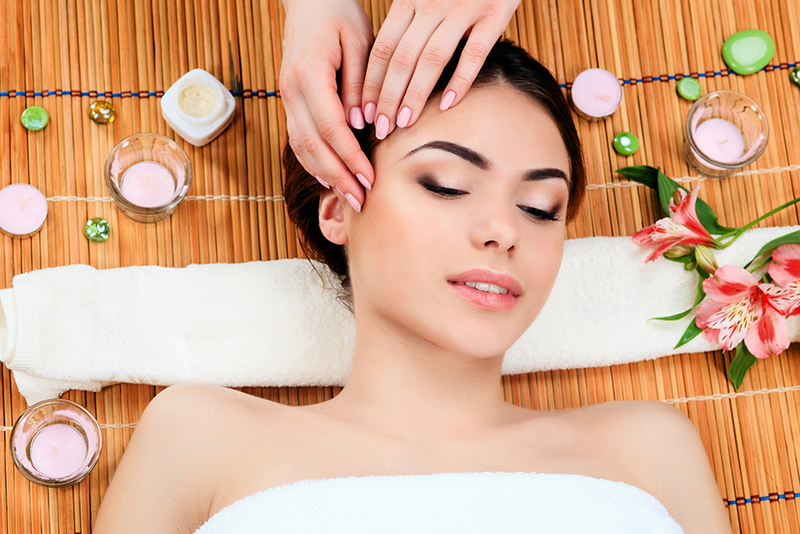 Of course, a facial treatment will help also, and it’s important to note that many Ayurvedic facial treatments are designed for both outer beauty and inner detoxification. Often called Mukhalepam (mukha means face and lepam means pack) they condition and nourish the skin, open blocked pores, eliminate toxins internally and cleanse the face to improve skin texture. Cleansing, nourishing and protecting are the three key components in Ayurvedic skin care. These are performed with Ayurvedic herbs chosen according to one’s constitution and present state of health, combined with fresh fruits and vegetables selected according to skin types. The handpicked ingredients supply much needed vitamins and minerals, while packs even out colour tone, soothe and moisturize the skin, and leave the face soft and supple. A herbal steam is an essential part of the facial care to bring out the impurities and it ensures that the ingredients are absorbed into the deepest layer of the skin, stimulating it and ensuring healthy new cell growth. Hence, harnessing the power of rare combinations of natural herbs, fruits, flowers and spices, each treatment is individually designed for different complexions, types of skin and doshic combinations. Hair is an integral part of our self-image and of the way we present ourselves to the world. It also alarms us about the health status of our body, mind, and emotions. Ayurveda offers numerous treatments and medicated oils with indigenous herbs for beautifying, strengthening and improving hair health. Gentle and effective hair care products used traditionally in ayurveda to cleanse, nourish and rejuvenate hair and scalp are quite popular as they do not have any side effects on the hair or the scalp. 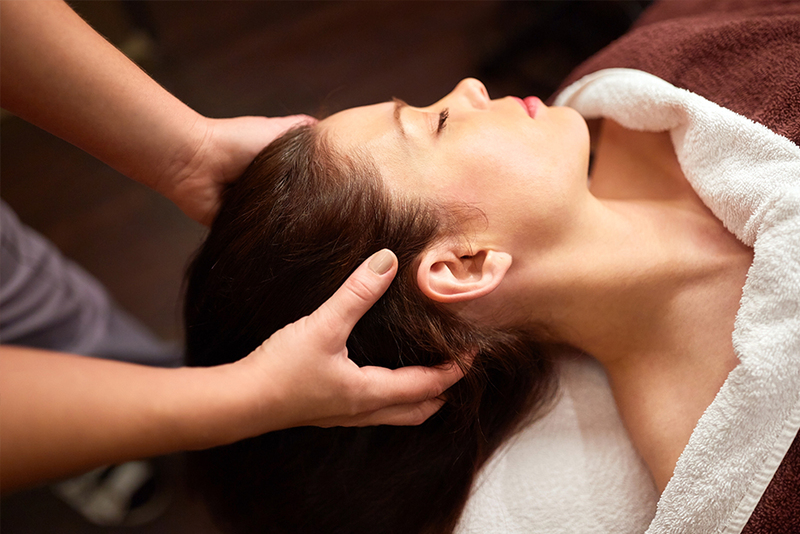 By attending our hair wisely, we not only create a beautiful hair but the best of health for ourselves. It is an ancient custom for healthy hair and scalp often given on daily basis and as a part of treatment. It soothe and invigorate the sense organs. The hair oils contain various herbs and plants possessing strengthening, conditioning and antiseptic properties. Shiro means head and lepam means pack. 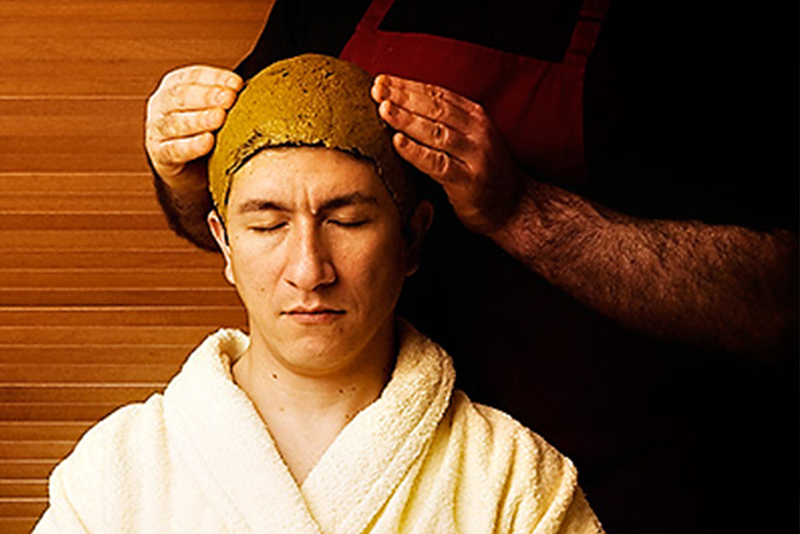 The treatment includes a head, neck ,face and shoulder massage along with a head pack to stimulate hair growth and revitalize the brain.